A nonprofit human service agency, established in 1969, serving Pittsford youth and families for over 40 years. On average, PYS staff provides 1800+ individual counseling sessions each year, together with service to hundreds more through our educational programs, consultations and support groups. 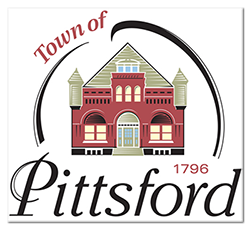 Pittsford Youth Services will seek to build a community where every child feels valued and empowered. To that end, PYS will be the respected leader and provider of professional social work services for Pittsford youth and their families. As parents we all want the best for our children, to smooth the way for them to develop into happy, healthy, well-adjusted adults. However, the reality is that there will be obstacles and struggles along the way and we may simply not have the resources to handle them. Young people in our community face a number of challenges while growing up. Dealing with issues such as peer pressure, abuse, parent separation/divorce, academic stress, bullying, anxiety, depression and alcohol/drugs can be overwhelming. Over four decades ago, a group of concerned citizens came together to help our Pittsford youth cope with these difficult issues. Their efforts continue today through the programs offered by Pittsford Youth Services. 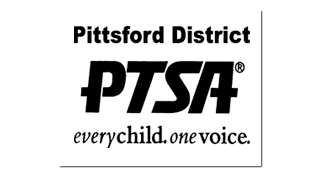 PYS is an integral part of the Pittsford community, providing affordable, confidential counseling services to young people and their families to help them navigate through difficult times. By providing confidential social work services through the public and private Pittsford schools, as well as individual and family counseling at our offices in the Village of Pittsford, our professionally licensed social work staff fill a critical need for our community children and teens. Jill joined Pittsford Youth Services in August 2013 as Executive Director. She has over 25 years of volunteer experience in the community, having served as President of the Junior League of Rochester, a six year member of the Pittsford School District Board of Education, Vice President and Fundraising Chair of Pittsford Crew, and Coordinator of the Pittsford Youth Court. Jill received her J.D. from Albany Law School and previously worked as a general practice attorney. Loraine joined PYS in January 2002, and became the Executive Clinical Director in 2014. She is a licensed clinical social worker (LCSW-R). In addition to her supervision duties, she provides individual and family counseling in the PYS office. Loraine received her master’s in social work from Adelphi University and has been a licensed social worker since 1983. Glynnis has just joined Pittsford Youth Services and is excited to be a part of such a worthwhile organization. She is responsible for the office operations, including financial reporting and recordkeeping, as well as Pittsford Youth Services special events. Allison joined PYS in 2005 after many years in the field dedicating her practice to working with children and families. While at PYS, she spent ten years providing special education services to children and families in the elementary schools. More recently, Allison developed and co-founded Camp Heartstrings, a grief and loss camp for children in the greater Rochester area. Allison continues to develop additional services to better support children as they grieve the loss of a special person. Tracy joined PYS in 2014 and provides social work services to Calkins Road Middle School and Sutherland High School, and offers individual and family counseling in the PYS office. She received her master’s in social work from Nazareth/State University of New York College at Brockport in 2006. She has been a practicing licensed social worker (LMSW) since 2006. Debbie joined PYS in 2000 and provides social work services to Mendon High School. Debbie is a licensed social worker (LMSW) who received her Master's degree in Social Work from Syracuse University and has been a practicing social worker since 1985. Bridget joined PYS in January 2016 and provides special education services at Jefferson Road and Park Road Elementary Schools, as well as general social work services at Park Road. She received her Master’s degree in Social Work from the University of Pennsylvania in 1999 and has been a licensed social worker (LMSW) since 2002. Suzanne, a licensed Social Worker, joined PYS in 2003 and provides social work services to Jefferson Road, Thornell Road, and Barker Road schools. She has over 28 years of experience working with youth and families and brings her expertise with those populations to her role at PYS and PCSD. Suzanne also co-founded and helps run Camp Heartstrings, a grief camp for children that PYS is proud to be a part of. Bree joined PYS in 2016 and provides social work services to Sutherland high School. She received her Master’s degree in social work from the State University of New York at Buffalo. She has been a practicing licensed clinical social worker (LCSW) since 2004. Jessica joined PYS in 2014 and provides social work services to Allen Creek Elementary, Mendon Center Elementary, and St. Louis School. In addition, she provides special education services to Thornell Elementary School. She received her Master’s degree from Virginia Commonwealth University and has been a practicing licensed social worker (LMSW) since 2006. Our partners share our mission and vision of building a community where every child feels valued and empowered. They provide additional information and resources. Click on the icon to visit each site.